Material: Stainless steel wire. Our factory produces a complete range of first-class stainless steel woven wire mesh and wire cloth products, including Square Opening Series Stainless Steel Wire Mesh (from 1mesh to 500mesh) and Cloth. 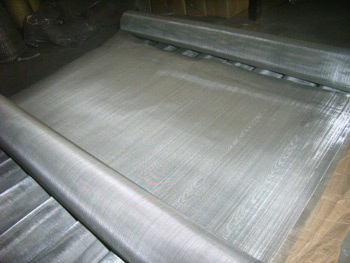 The Plain Weave is the most commonly used and simplest wire cloth weave. Each warp wire (wire running-parallel to length of cloth) passes alternately over and under the wires running traversely through the cloth (fill or shoot wires) at 90 degree angles. It has an extremely wide range of applications. 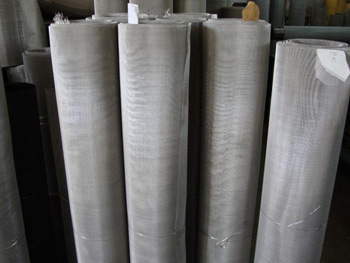 Use: Stainless steel wire mesh and wire cloth is extensively used in mining, chemical industry, food industry and pharmaceutical industry, due to its excellent property of wear-resistance, heat-resistance, acid-resistance and corrosion resistance.